Short Description: The Maling Team of Colliers International is pleased to present this Bank Foreclosure, which consists of three (3) separate multi-family buildings within a 1 mile radius from each other. Short Description: The property consists of a two-story mixed-use building with two (2) units. Built in 1951, the property has a GBA of 2,712 square feet and is situated on a 0.07 acre lot. 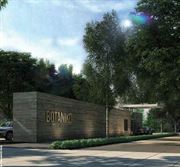 Short Description: Botaniko Weston has been created and designed for the whole family to enjoy together. Being surrounded by open green spaces makes it a wonderful place to live, play, and entertain, with a quality of life and natural beauty that are unsurpassed in the surrounding area. Short Description: WALKING DISTANCE TO EVERYTHING. 2 STORY 4700 SQ FT 5 BED 4.5 BATH BEAUTY. HOUSE INCLUDES 700 GUEST HOUSE, BRAND NEW POOL AND DECKING, NEW AC AND BRAND NEW WATER HEATER. Short Description: 3 Bedroom, hardly lived in, D. R. Horton home. Beautiful! Short Description: Investor alert! Great opportunity to get a home in a great area for a great value. This home has 3 bedrooms and 1 bathroom. 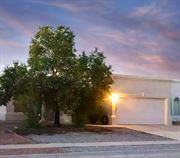 The home is situated on a large 50X150 lot in the desirable town of Audubon. Short Description: Oceana is going to be built on the site of the former Sonesta Hotel, which was one of the first hotels in Key Biscayne but is the last site available for construction on the island. This 10.3 acre and last pristine oceanfront site is located on the east side of Key Biscayne facing the Atlantic ocean. The last building in Key Biscayne was built in 1999 which was the last tower at The Ocean Club. Short Description: One Ocean, with just 50 residences, soon to be the most exclusive and sought after project in the South of Fifth district. One Ocean, the most prestigious address in South of Fifth, according to Jorge Perez, will boast gorgeous ocean views, stunning architecture, a private beach club, and so much more. Short Description: Jade Signature developed by Fortune International is a 55 stories condo located in Sunny Isles. The well known and successful Herzog & de Meuron are the architects of this innovative project which will be recognized for its parallelogram shape. Short Description: Built by J.Milton and Associates, the new project is located at 330 Sunny Isles Blvd, in Sunny Isles. The project comprises two 26- story boutique towers with total of 160 units per tower, with the grand opening projected for the end of 2015.